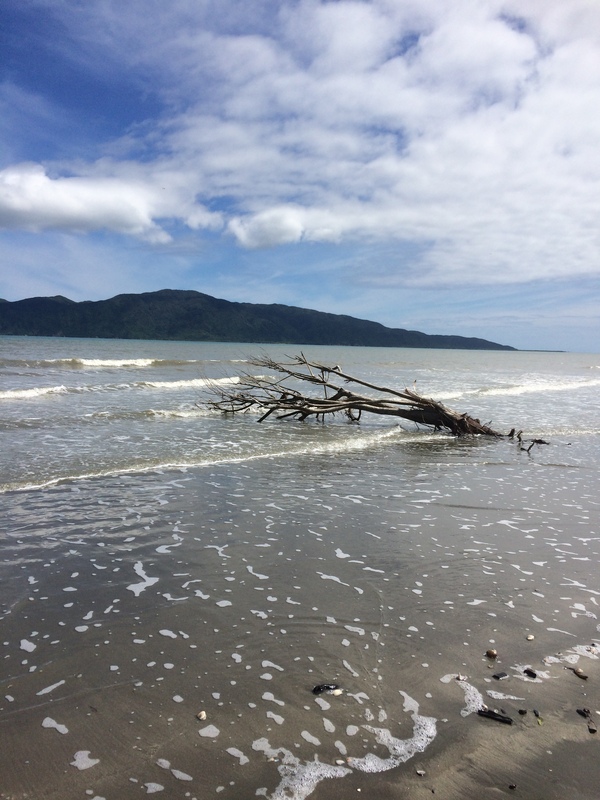 On Sunday (as I mentioned in the last post), we drove up the coast to Paraparaumu. We took a walk on the beach, and wondered at which storm had blown so many big branches on to the sand. Some of the pieces were like works of art. Have a look. Yes it is and not that far really from where we live. NZ has some awesome big pieces of driftwood on beaches sometimes, I’m often amazed and what washes up. Absolutely! I just loved the bit that still had the pine cones.